Will England pick up where they left off on Friday? International football is back! It's been a while coming, but Euro 2020 qualifying football is finally here. After a delay caused by the new UEFA Nations League, England kicked off their campaign last Friday and continue today in Montenegro. We're delighted that it's on free-to-air TV in the UK - although you'll need to keep scrolling to see how to live stream Montenegro vs England wherever you are in the world. England's Euro 2020 qualifying match against Montenegro is being held a world away from the majestic Wembley. Podgorica City Stadium in the Montenegro capital is almost 75 years old and holds a capacity of 15,230. Kick-off is at 7.45pm GMT (which is 8.45pm local time), 3.45pm ET, 12.45pm PT and 6.45am Tuesday AEDT. You have to say that England came through their first qualifier against the Czech Republic with flying colours. They were scarcely troubled at all by their opponents, and coasted to a 5-0 win. Raheem Stirling stole the headlines with an accomplished hat-trick, while captain and talisman Harry Kane also scored from the spot. Brimming with confidence and with lower ranked opposition tonight, we'll see whether Gareth Southgate risks blooding his younger squad members such as Declan Rice and Callum Hudson-Odoi. We feel no shame at all in admitting that we can't tell you a a lot about Montenegro's predicted line-up. Defender Stefan Savic is probably their best known name, playing his domestic football in Spain at Atletico Madrid and briefly appearing for Manchester City in the Premier League earlier in his career. They have an Arsenal striker, too...Luka Dordevic who plays for Russian club Arsenal Tula (sorry!). So can England continue their momentum and come up with the goals they need to claim an expected second win on the trot? Or can Montenegro come up with a suprise result? Find out by following the instructions below and grabbing a live stream of Montenegro vs England Euro 2020 qualifying football wherever you are in the world. If you're in the UK, US or Australia this Monday, then your viewing options are set out in simple black-and-white below. But it's not so straightforward if you try and watch the game from abroad, as you'll likely be faced with a very unhelpful geo-block. As long as it complies with the broadcaster's Ts&Cs, you can always use a VPN to get around the block. A Virtual Private Network is perfect for this as it allows you to change your IP address so you appear to be in a completely different location. So for example, UK residents can watch the ITV coverage from abroad as if they were back at home. This is the #1 rated best VPN in the world right now. You can watch on many devices at once including Smart TVs, Fire TV Stick, PC, Mac, iPhone, Android phone, iPads, tablets etc. Check out Express VPN and take advantage of the 30 day money back guarantee and three month FREE when you sign up for an annual plan. Great news! Unlike the Nations League, England's Euro 2020 qualifiers will all be shown on free-to-air TV and ITV has bagged the exclusive rights. Kick-off is at 7.45pm GMT and you can watch via television, online or the ITV Hub app for mobile devices. Not in the UK today and want to get the UK broadcast? Then it's very easy to download and install a VPN and then head over to TVPlayer.com to watch. After securing the rights to the European qualifiers, Optus Sport has live coverage of Montenegro vs England. If you're not in Oz, using a VPN will allow you to watch the coverage on your Optus account. Kick-off down under is one for the early risers – 6.45am on Tuesday morning in the AEDT time zone. 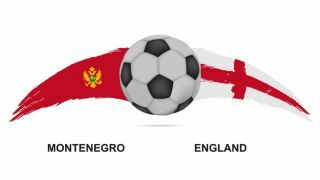 Subscription service ESPN+ has got the coverage of Montenegro vs England live - kick-off is at 3.45pm ET and 12.45pm PT.. The broadcasting giant's online subscription platform only launched in 2018, but has already made waves by hosting big-ticket tennis, soccer, boxing and UFC events. But the best news is that you can grab a seven-day FREE trial. So if you haven't used ESPN+ before, you can sign up for that and get a taster of its football coverage without paying a thing at the outset. Again, you're looking at needing a VPN service if you're outside the US today but still want to catch the ESPN action as if you were back in the US.